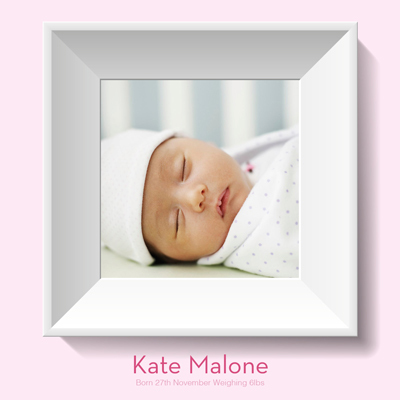 All baby card designs are quality checked by our designers and if we feel something is not quite right we will edit your design and send you a new proof prior to printing. If you are not 100% happy with your online design we can edit it and make your card perfect, please leave a note in comment box section at the shopping basket stage. All prices include envelopes and delivery nationwide. The ideal thank you card for your little boy or girl. Ireland's best value and best quality cards - guaranteed!